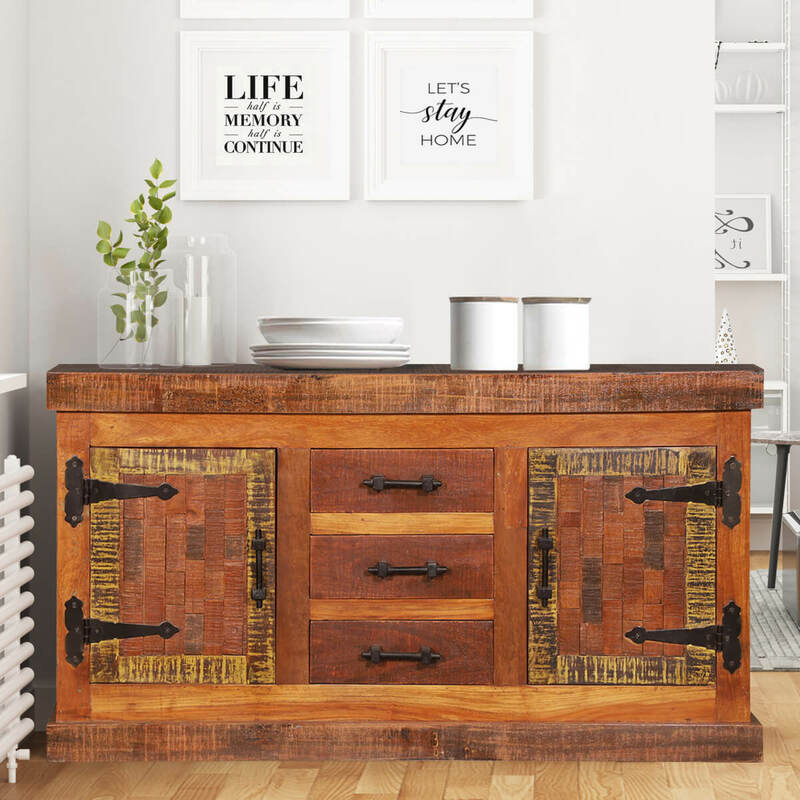 If you’re a connoisseur of the rustic look, you absolutely need to check out our Reclaimed Wood Rustic Sideboard Cabinet! 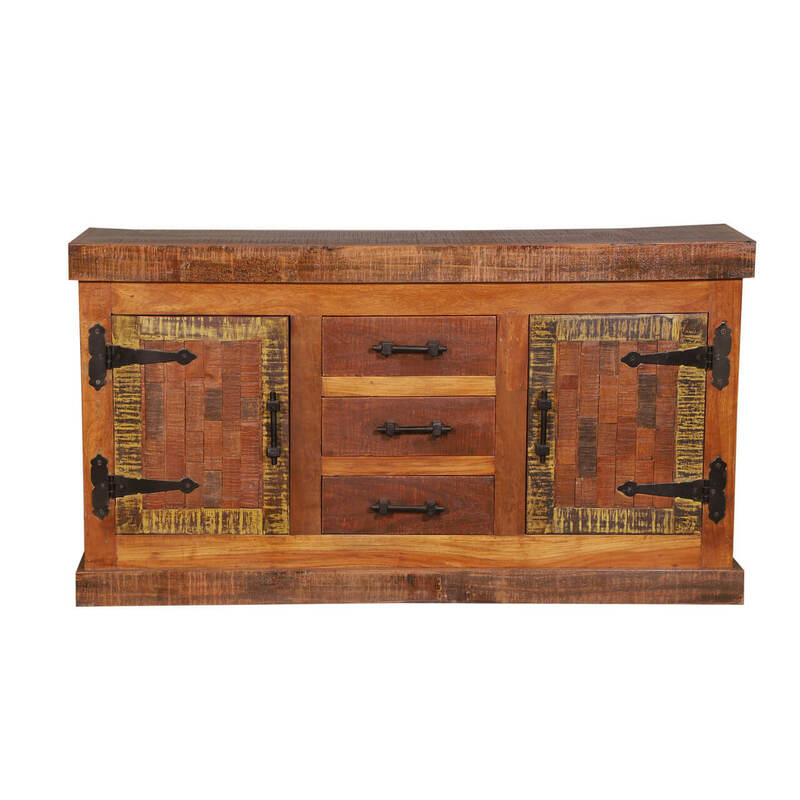 It’s one of those timeless pieces that are used to make a bold statement in most home interiors. 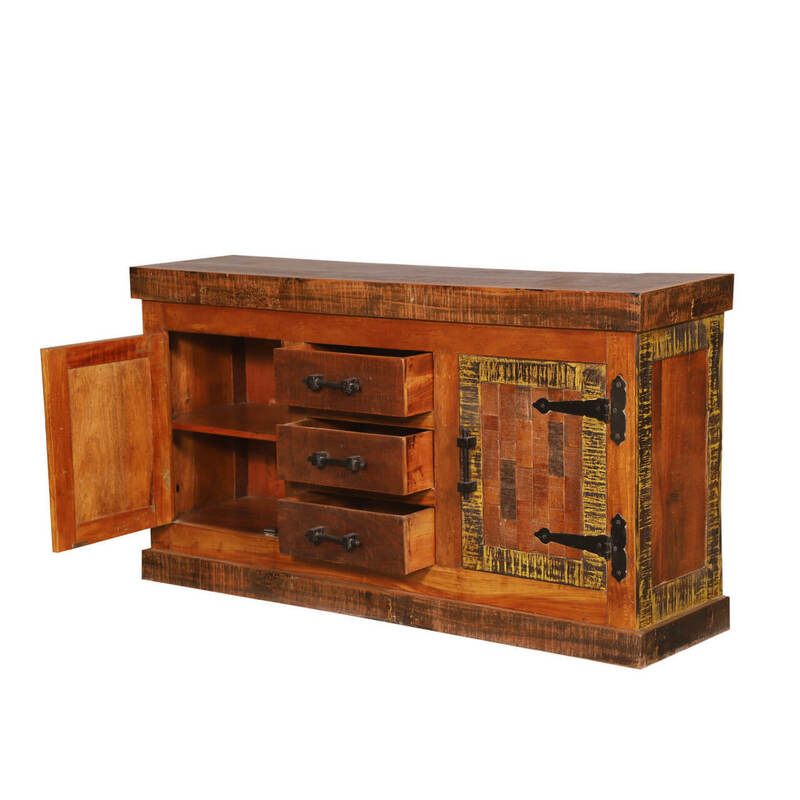 But it gets even better: the entire thing has been handcrafted and assembled from the most durable reclaimed wood pieces so it is eco-friendly and also warrants a great heirloom quality. 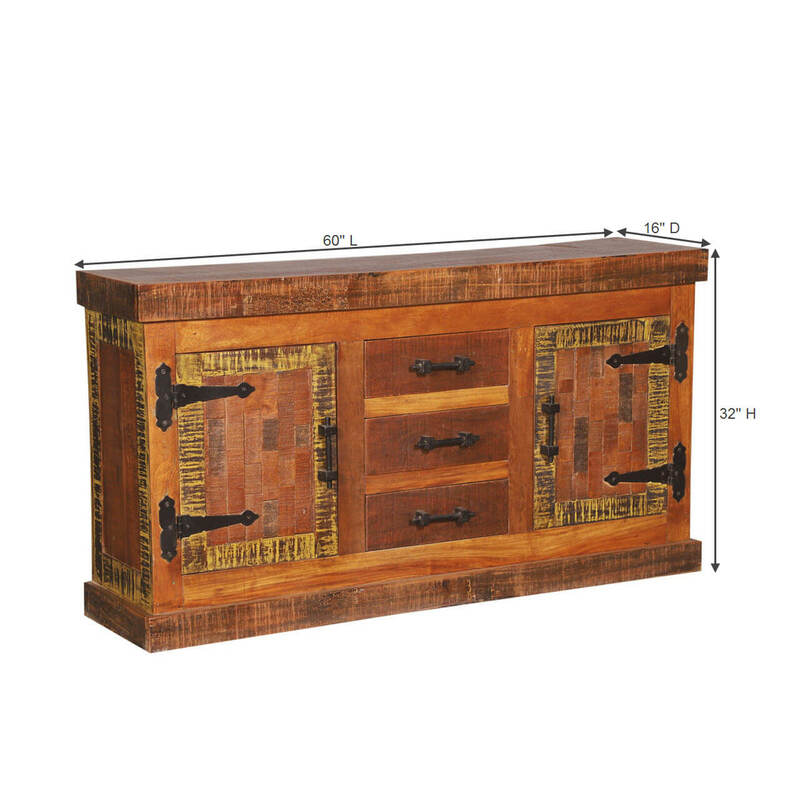 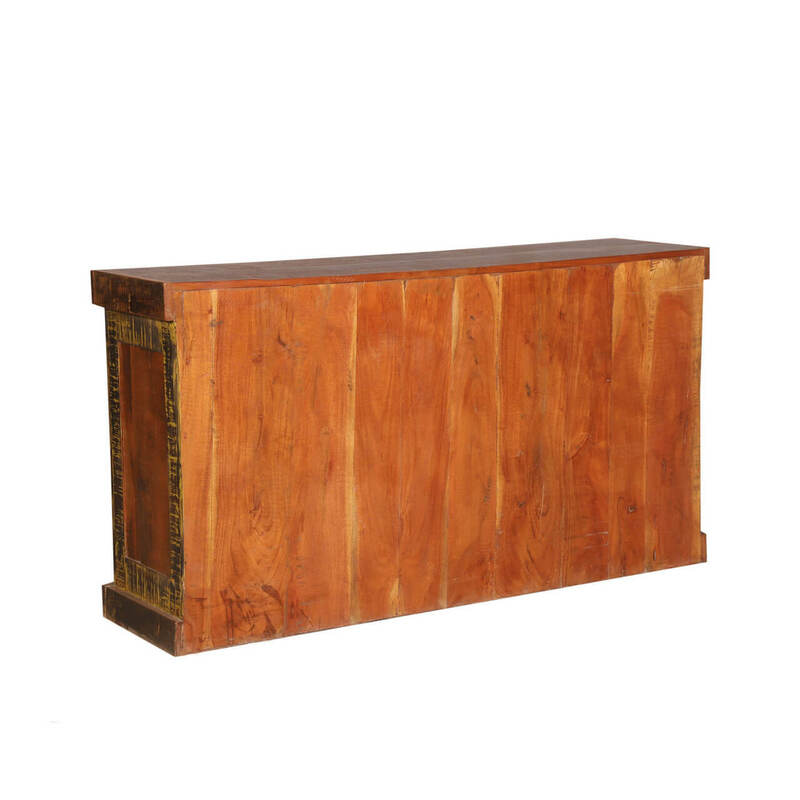 The design of this reclaimed wood sideboard starts with a thick top frame that matches the girth of the platform base to deliver the most symmetric overall look. 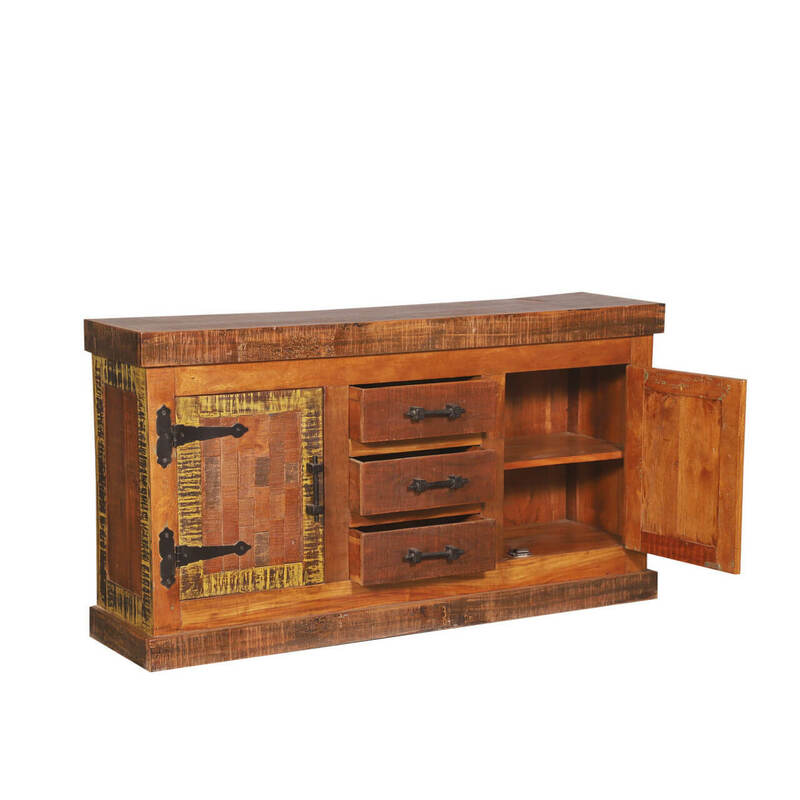 The main façade is divided into three parts – two single-leaf cabinet doors on the periphery and three pullout drawers stacked on top of each other in the middle. 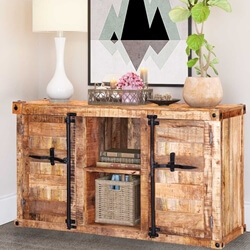 Each cabinet opens up to reveal two shelf compartments inside, and the dual-toned rustic finish coupled with the stylish hand-wrought metal hardware completes the whole look. 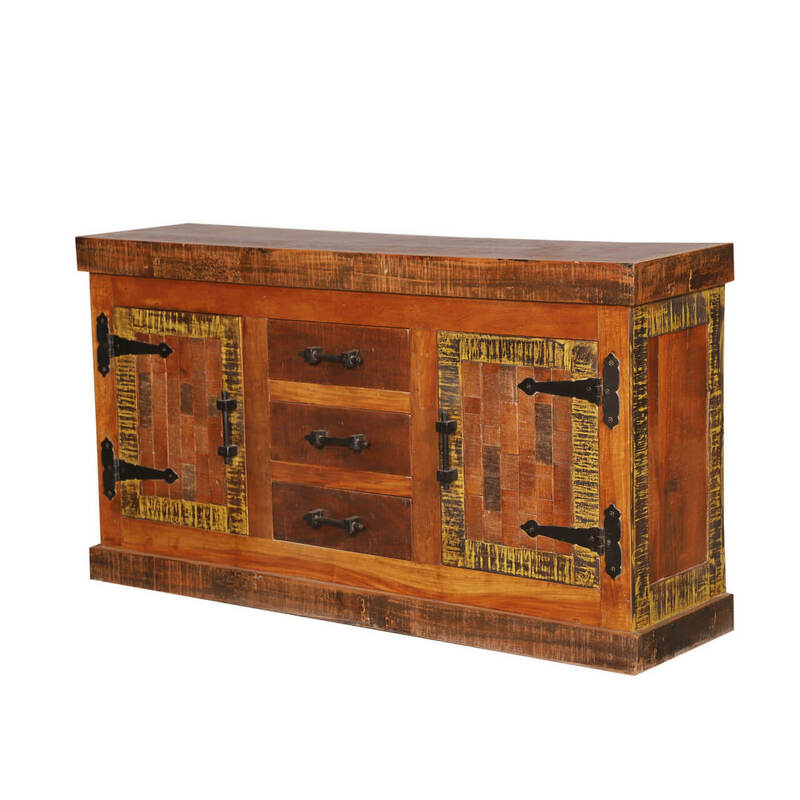 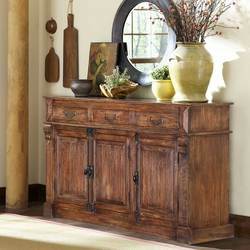 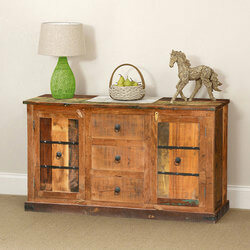 You can use this reclaimed wood furniture piece to make a bold statement in your house interior. 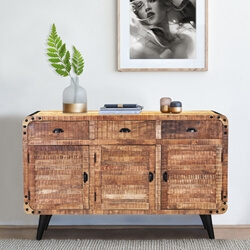 It’s also pretty versatile in aesthetics, so you can place it in a variety of interior design styles including but not limited to rustic, industrial, eclectic, contemporary, and more.